Did you know that turkey wasn’t even served at the first Thanksgiving, in 1621? Or that in 1939, Thanksgiving Day temporarily was moved up a week by President Franklin D. Roosevelt, to help boost the depression-era economy by giving retailers more time to earn money from holiday shoppers? This year, family and friends once again will gather together to celebrate Thanksgiving Day – traditionally the fourth Thursday in November, and traditionally a day of food, fun, and football games. Meanwhile, here are some more Thanksgiving fun facts, served by the writers at History.com. Have a Happy Thanksgiving, from all of us at Gerber Life Insurance! Should you limit how much time your child spends in front of a screen? Up until recently, the American Academy of Pediatrics (AAP) took a very hard stance on managing children’s technology use. In the academy’s research-based AAP guidelines, they advised that “screen time” (or the amount of time a child spent using a device with a screen, such as a cell phone or tablet) should be prohibited for children under age 2 and limited to two hours a day for children over 2 years old. 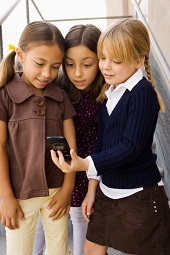 The guidelines, initially published in 2011, were recently revised, however, to reflect the explosion of technology and apps aimed at young children. According to the non-profit Common Sense Media, more than 30 percent of children in the U.S. first play with a mobile device while they are still in diapers. Nearly 75 percent of 13- to 17-year-olds have smartphones, of which 24 percent admit to using their phones almost constantly, reports the Pew Research Center. According to the AAP, “screen time” is becoming simply “time,” and so they set out to review and update their guidelines, including through a two-day “Growing Up Digital: Media Research Symposium” in May. The goal of the symposium, notes the AAP website, was to evaluate available data, identify gaps in research, and consider how to provide thoughtful, practical advice to parents based on the evidence. 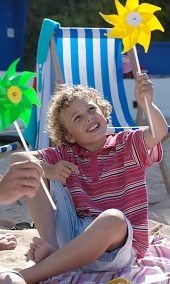 Paper pinwheels are surprisingly easy to make and can give children an immense amount of joy. This simple project offers a wonderful blank canvas for your child to express himself or herself with color and originality, and requires a little adult supervision for cutting and attaching the pinwheel to a stick. Everyone needs external reinforcement to be their best self, including your child, who relies on you for encouragement and words of affirmation. Use the following tips to help encourage your child or to lift up his or her spirit, and to inspire your child to keep developing his or her unique talents and abilities. Thanksgiving Day traditions in the United States often include sitting around the table with the family, feasting on turkey and stuffing and sweet potatoes, and savoring pumpkin pie, made using grandma’s recipe. The list goes on and on. For many people, maintaining this tradition means traveling, which makes the Thanksgiving holiday notoriously one of the busiest travel times of the year. Traveling on Thanksgiving weekend is often synonymous with traffic delays and travel snags at almost every turn. 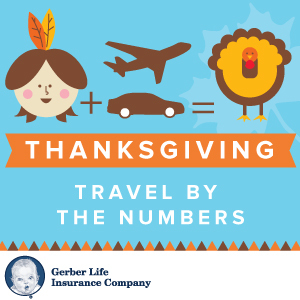 If you plan to brave the roads or the rails or the skies this Thanksgiving, check out our infographic for Thanksgiving travel tips that could help make your trip a little smoother.